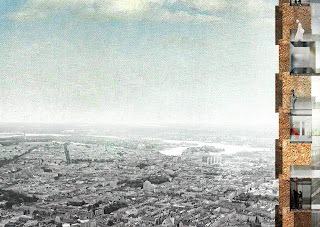 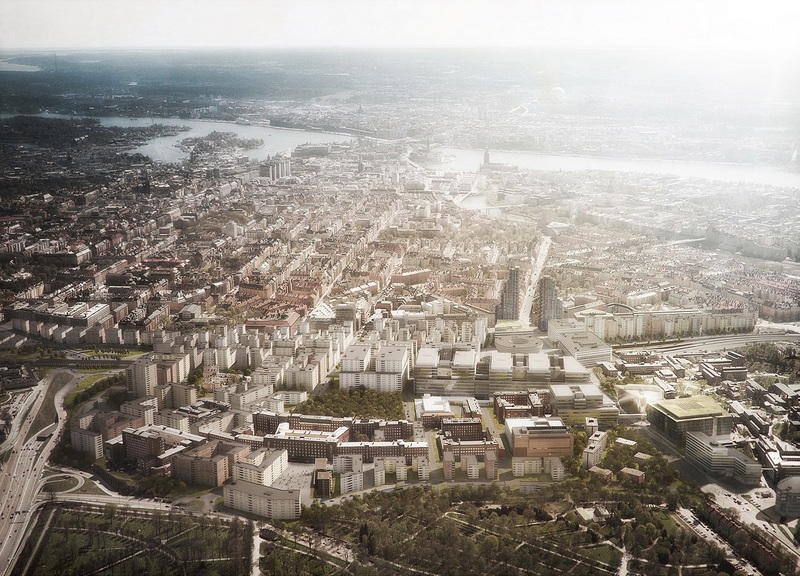 OMA has won the design competition for Tors Torn in Stockholm. 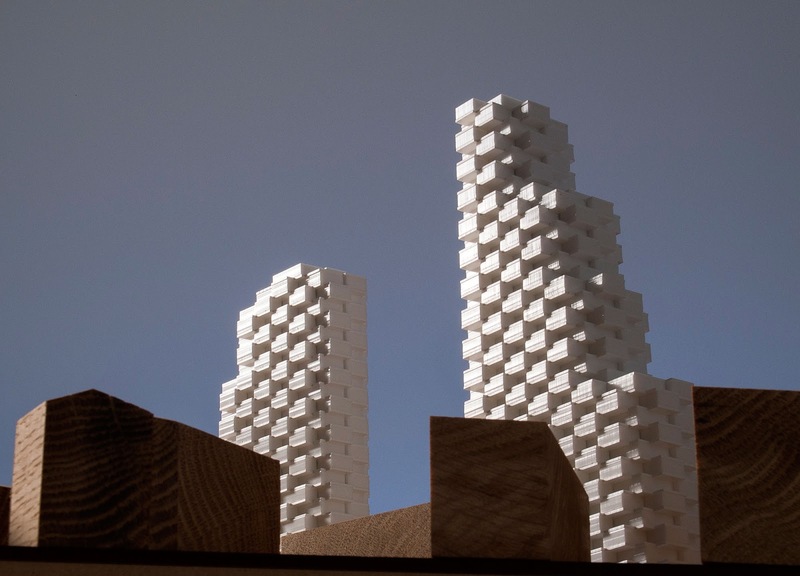 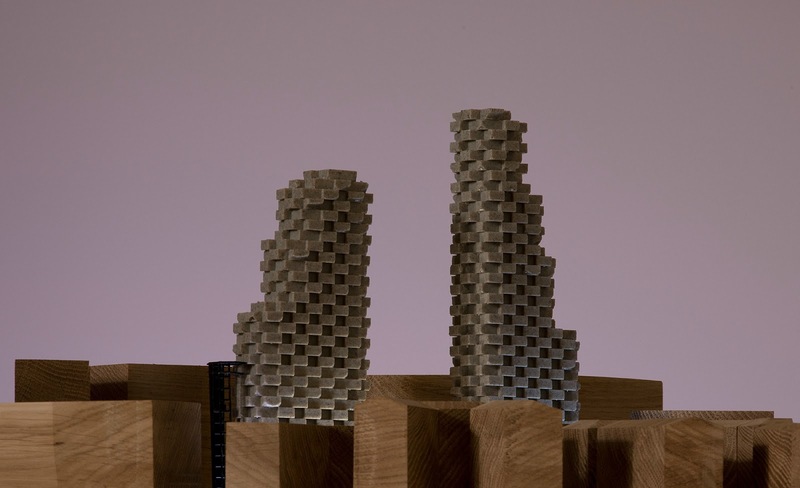 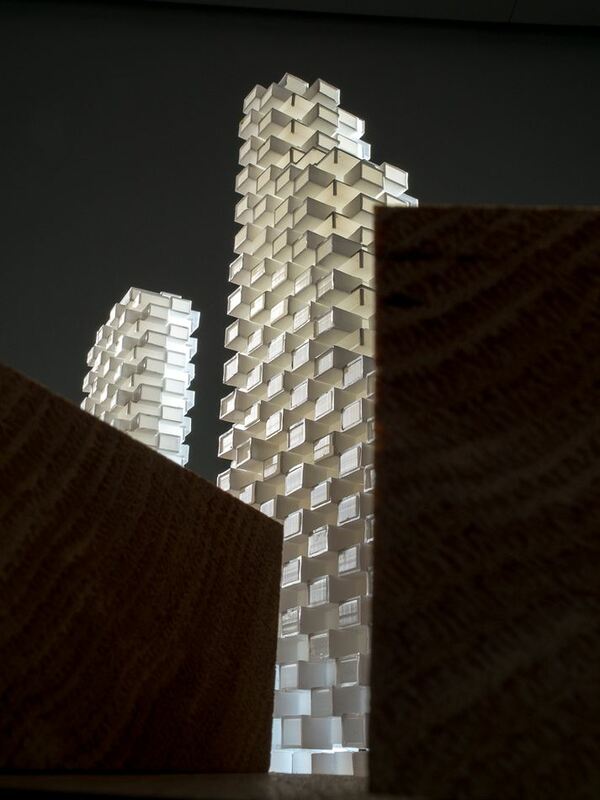 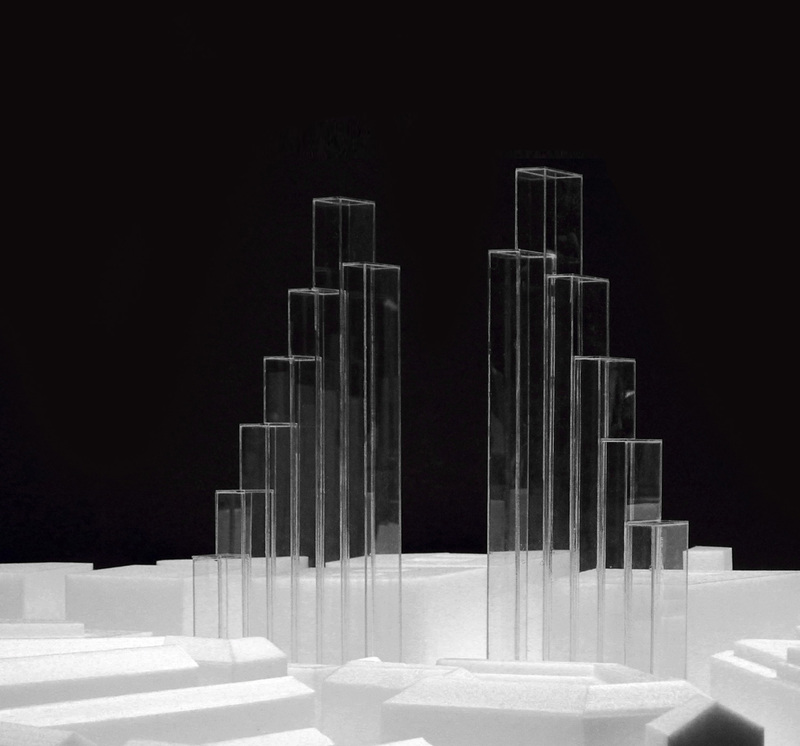 The project, led by OMA Partner Reinier de Graaf and OMA Associate Alex de Jong, and designed as the third tallest twin skyscrapers in Sweden, was selected from entries by four competing practices. 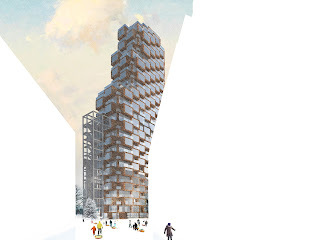 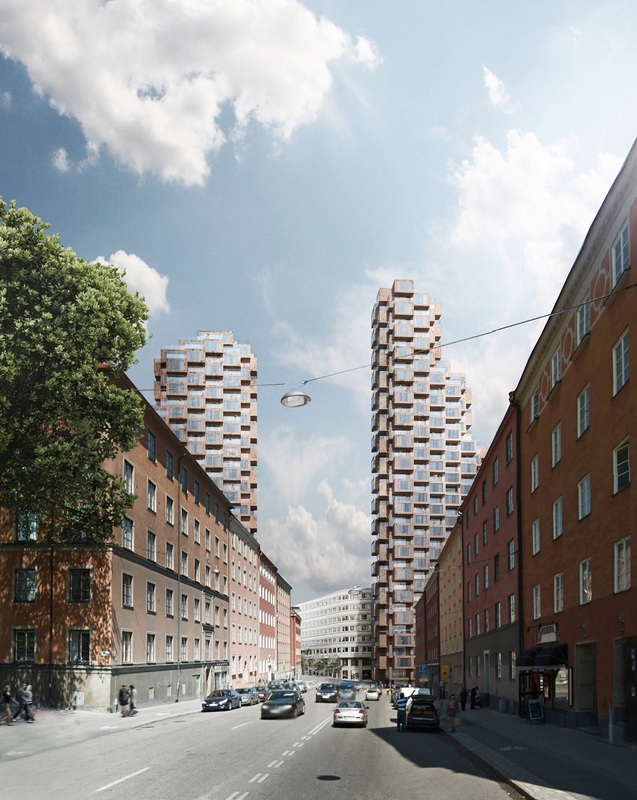 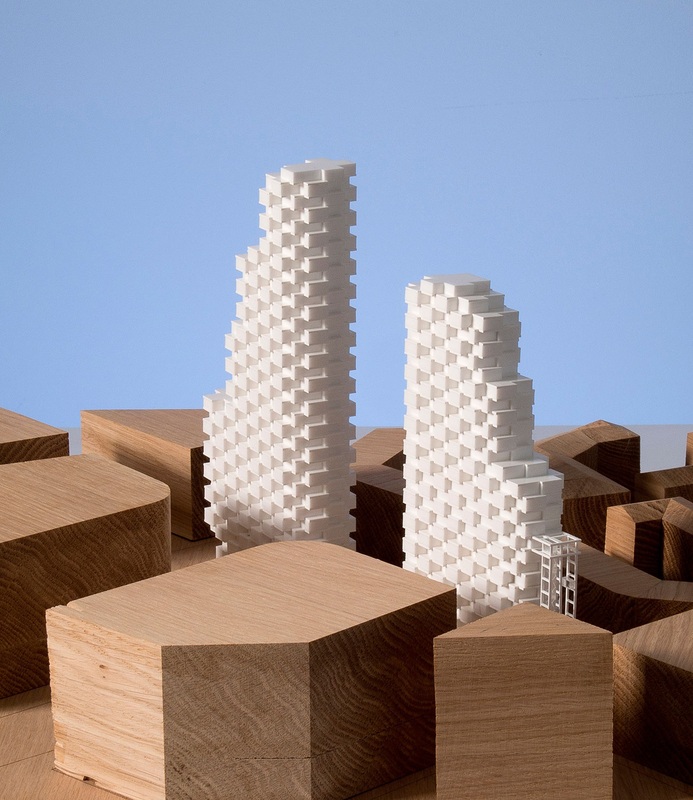 With each of the towers a crescendo composition of different heights, the mixed-use project is an interpretation of existing urban guidelines which call for a gateway to the new Hagastaden area of Stockholm. 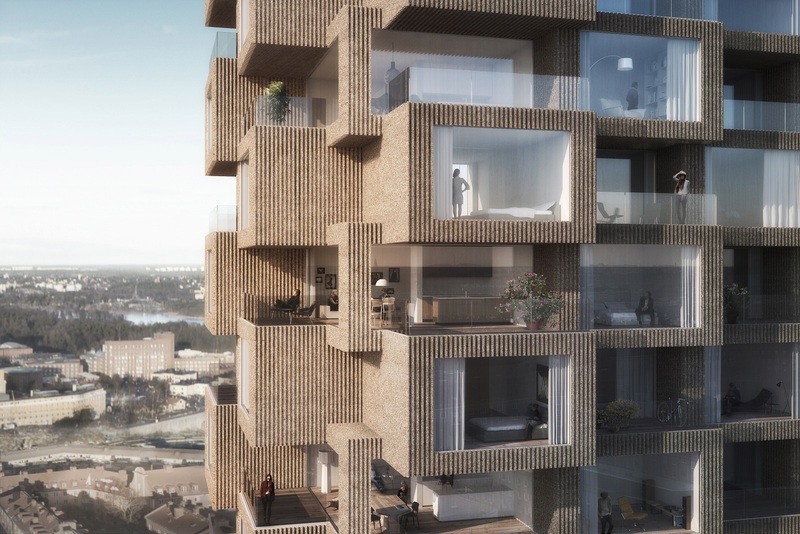 OMA's design proposes the introduction of a "rough skin" formed through a striking, alternating pattern of protruding living spaces and introverted outdoor spaces. 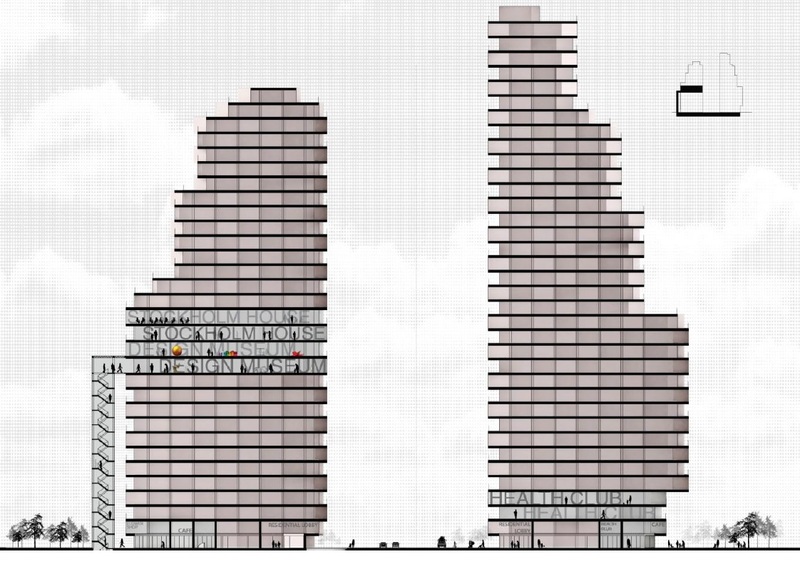 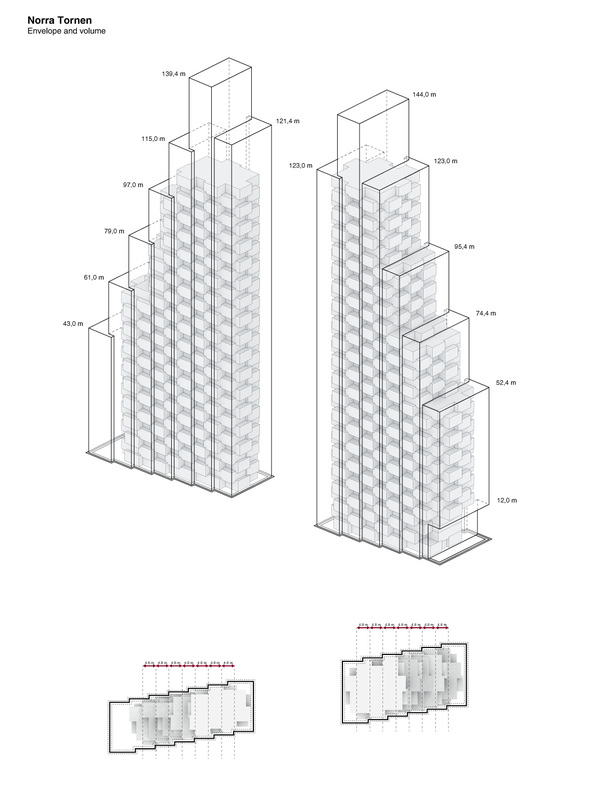 OMA's design challenges the expected uniformity and homogenous façade treatment that is often assigned to tower structures. 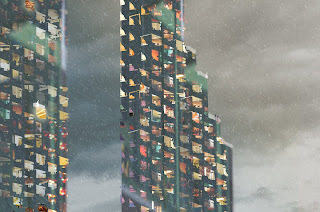 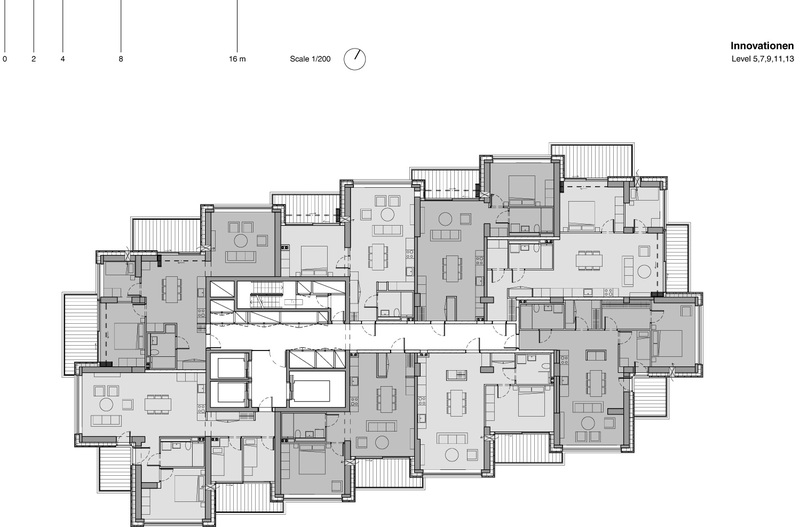 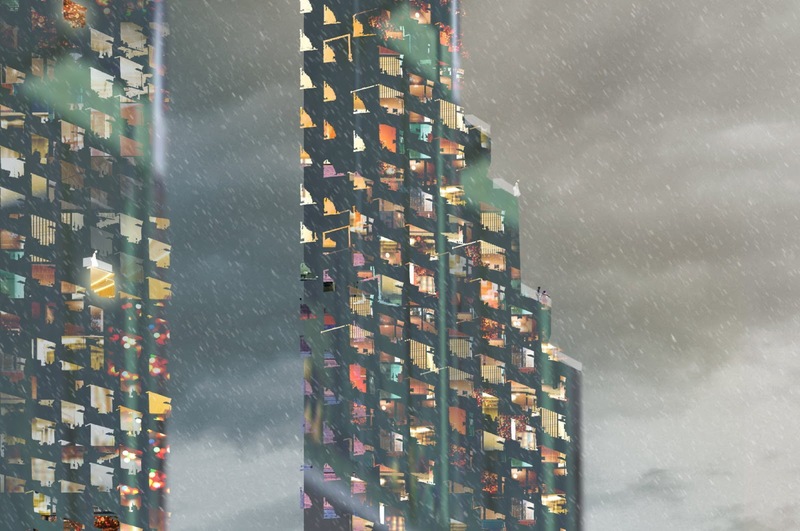 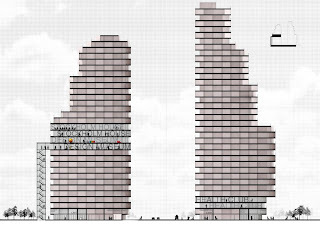 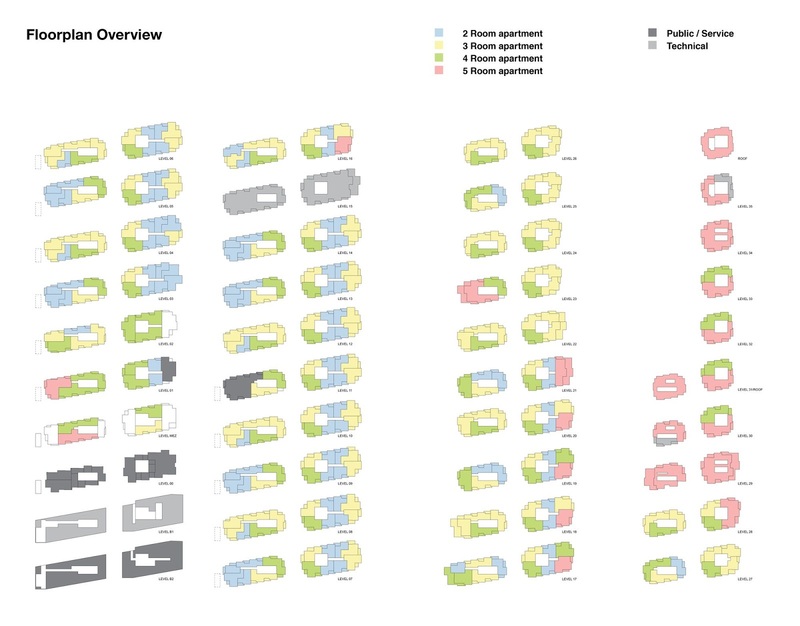 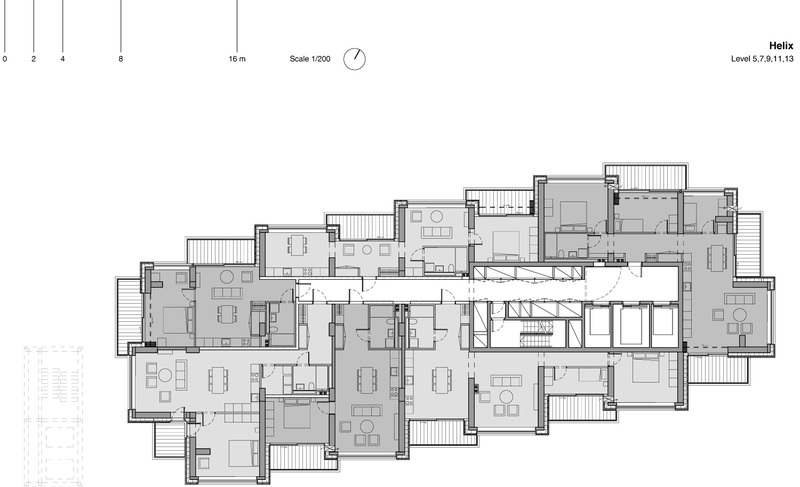 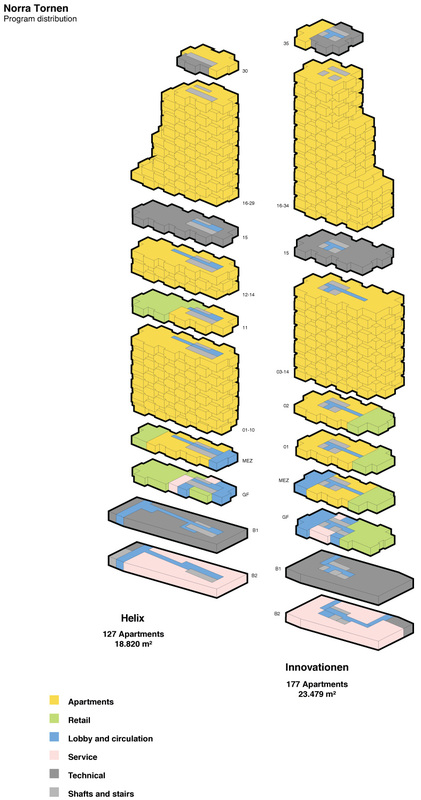 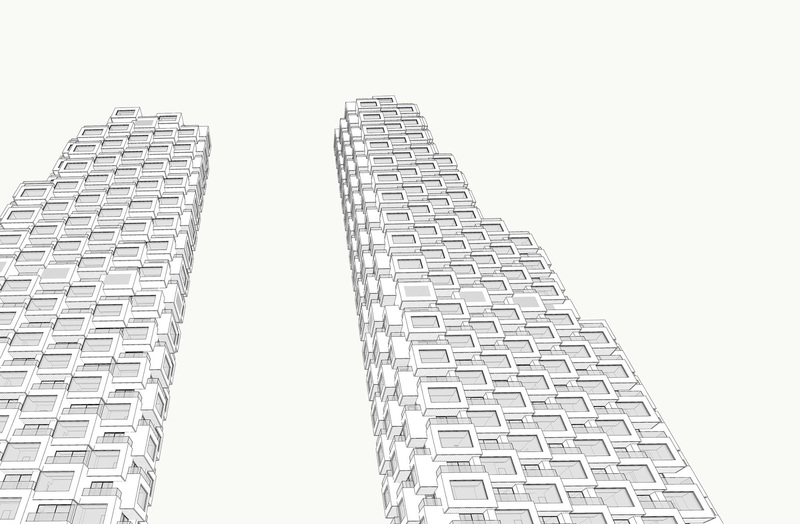 Instead, it extends the skin to expose the individuality of the separate living units in the two blocks - a true vertical, urban agglomeration. 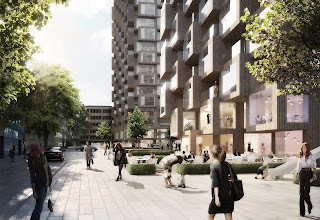 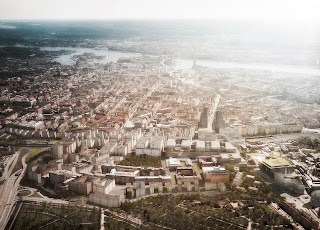 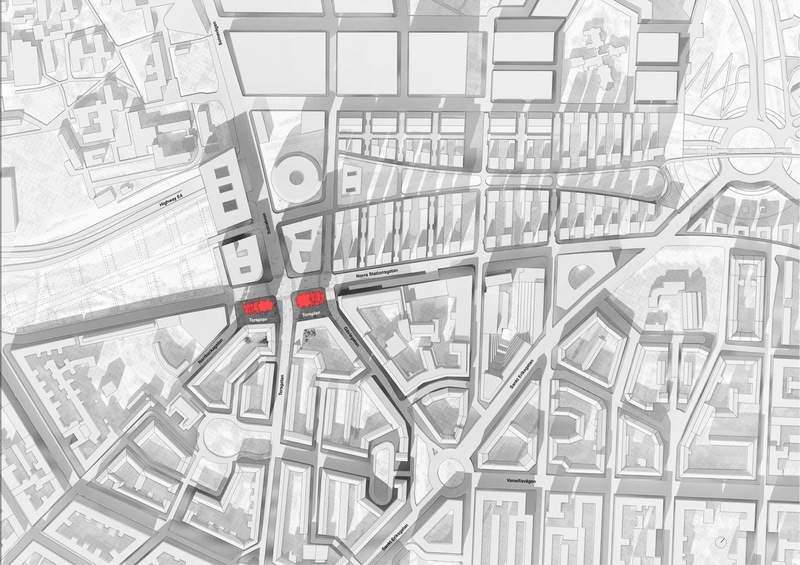 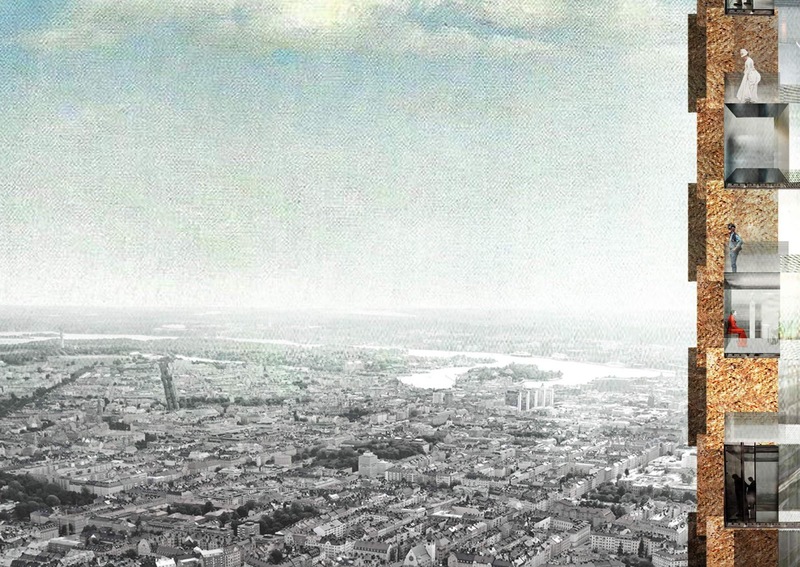 In addition to private residential apartments, Tors Torn will also contain a diverse public program for the wider community of Hagastaden, an ongoing urban development project aiming to extend the downtown area of Stockholm. 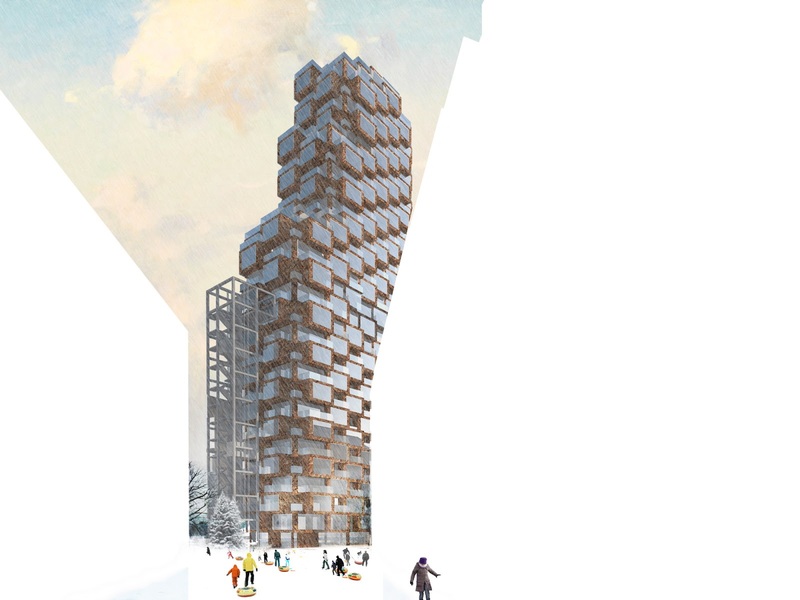 A bar and exhibition space will occupy the upper floors of one tower, with the ground floors of both towers accommodating a health club, library, children's center and retail areas. 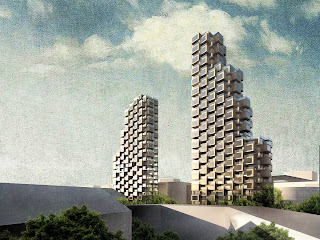 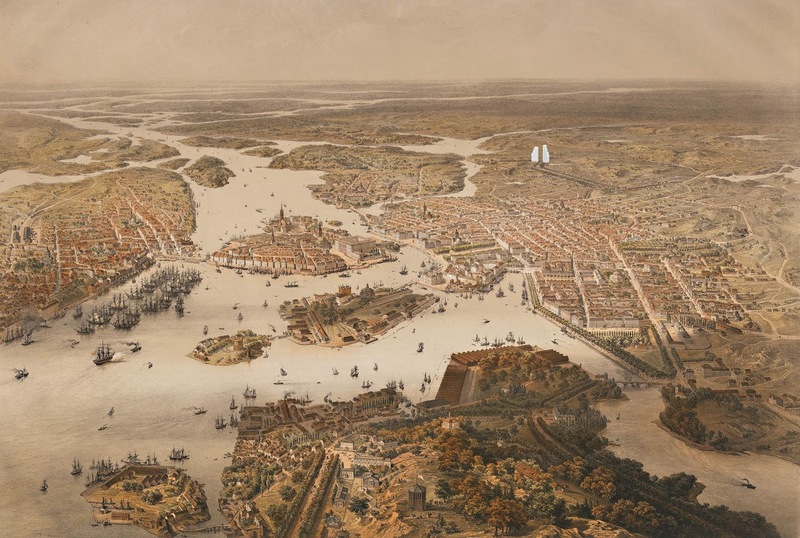 The project is scheduled to break ground in 2015.